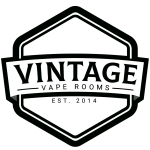 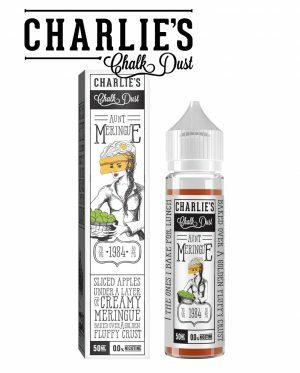 From Charlie’s Chalk Dust, Mr & Ms Meringue along with Aunt & Uncle Meringue come together to offer everyone four meringue pie inspired blends that are zesty and sweet throughout each and every hit. 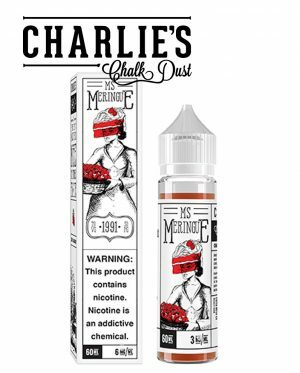 Ms Meringue offers a lovely mix of rich lemon curds littered with strawberries over a buttered pie crust. 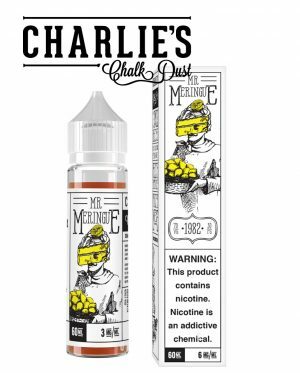 Mr Meringue offers a classic, old-fashioned meringue loaded with lemon curds on top of a freshly baked, buttery pie. 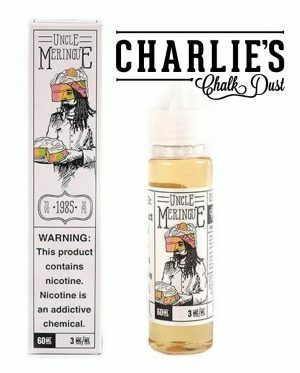 Uncle Meringue offers up a tasty Rainbow Sherbert meringue pie that is a fabulous all day vape and his wife Aunt Meringue bakes some tasty apple meringue! 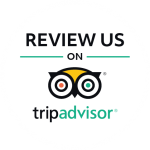 See what makes this family great and check out The whole Meringue family!